Linda’s on trail contact info and adventure links. This will be my last entry on this blog until I return from my backpack. Future blogs will be made to my journal. The time has come to say goodbye. I hate goodbyes. So, instead, I’m writing this email and sending it out a bit early (so I won’t get too emotional). 4 states: New Mexico, Colorado, Wyoming, and Montana. 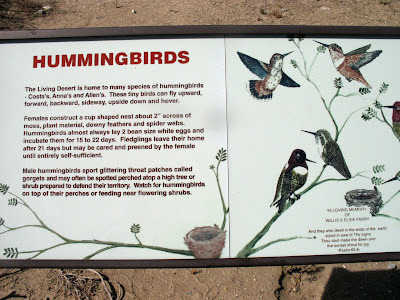 I’ll be backpacking the state of New Mexico northbound, starting in the bootheel of NM, at a southern trail starting point called Crazy Cook Monument. 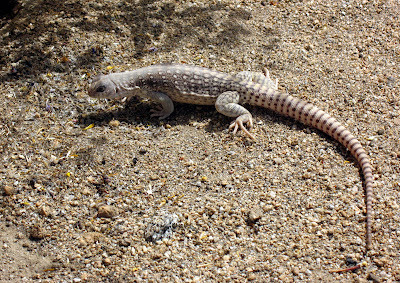 I will be hiking with a trail friend named LaZorra. 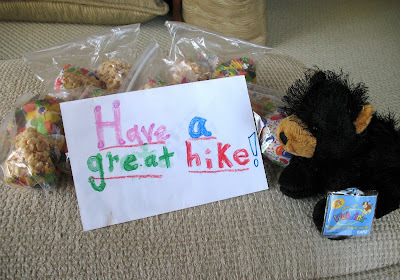 We will begin our northbound hike on April 30th. Just before LaZorra leaves the trail to return to work, another friend, TrailDad (Roy Robinson), will join me around May 26th for the remaining 5 weeks of my backpack. TrailDad and I will head into southern Colorado, if snow levels aren’t too high. Another option would be to skip up to southern Wyoming and hike the Great Divide Basin. I have a website called Gottago’s Adventure Site. Check it out. You’ll find previous backpacking trips/journals and of course my current hiking trip itinerary, journal, mail drop list, trail links and guestbook (which I hope you sign). I always keep a journal when I long distance backpack. My journal is linked on my website from another site where the journal is posted or you follow my journal from the direct link on trailjournals.com – www.trailjournals.com/gottago. Email: I’d love to hear from you. Feel free to drop me a line and keep me up to date with what is going on with you or just to say HI using this email address: gottago at pocketmail.com (I will only be able to receive and send email when I’m in a town, approximately every 5 to 6 days). Thank you for following along with me on my unfolding journey of life. Thank YOU Alima, Tom, Emily, Jessie, Catie and Henry. 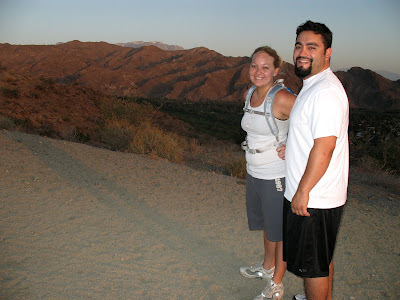 I had the pleasure of hiking the Bump & Grind the last two mornings at 6am with Katie and her boyfriend, Rick. I’ve heard a lot about Rick, but had never met him until we hiked yesterday and today. He’s down here visiting Katie for a week or so. Having some new “blood” on our morning hikes made for interesting conversations. I really like Rick a lot and have enjoyed our hikes. 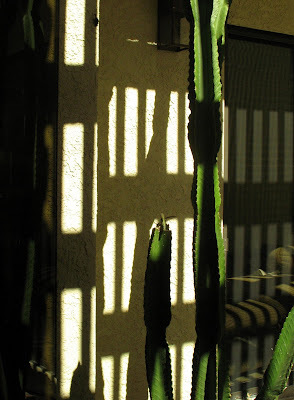 Just when I didn’t know what I was going to post today……. Just in from my friend Carol. I don’t have time to hike but if I don’t, I’ll be sorry. 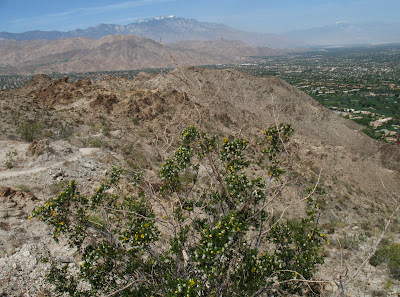 Great views of the remaining snow on San Jacinto and San Gorgonia Peaks. I’ve seen photos of the snow and deadfall the PCT thru hikers have had to deal with up on SJ. This sign put my mind to rest. I’ve been worrying in Mama was still going to watch over Baby. I saw about 6 of these guys. 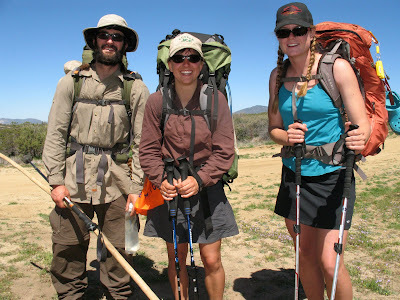 If you want to follow a PCT hiker this year, Suzanne is a great writer. Below is where she posts her trail journals. A direct link to her trailjournal account is www.trailjournals.com/suzannefinney. I’ve had some email correspondence with Suzanne and one phone call. She is a very special lady. 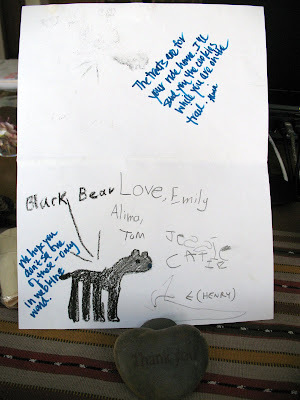 This linked journal page below, from her PCT 08 journal, is a special page for me. She lists “Internal Rules” for her herself while she hikes this year. Baby is gone and out on her own. 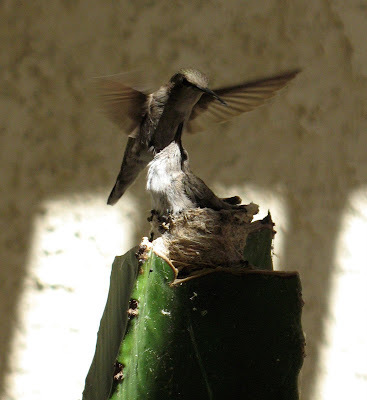 Earlier in the day I could tell Baby was practicing and getting close to flying off. Today is the first day she really practiced flapping her wings. 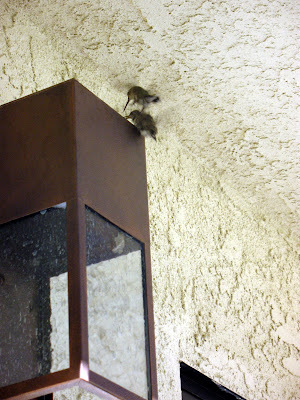 Mama is in Baby’s nest looking up at Baby on the condo stucco wall. Mama was freaking out. Mama repeatedly tried to get Baby off the wall. 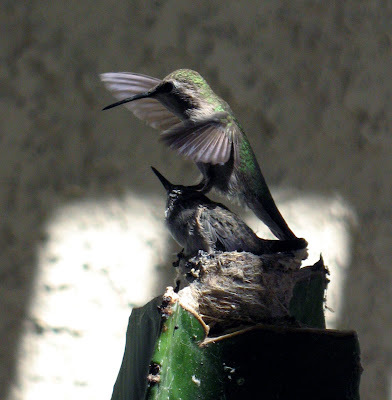 Mama got on Baby’s back and pecked Baby and then tried prying Baby off the wall with her feet. 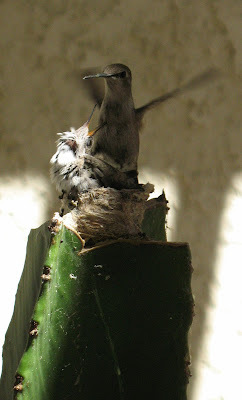 Mama also feed Baby while Baby was on the wall. Baby must have been exhausted. Ray spotted Baby as Baby left her nest. He said,”Baby is on the condo wall.” I went for my camera. I spent the next 1.5 hours taking photos. I shot some movie too. Tired and off the bed now. But I someday hope to put together a photo essay of Baby and Mama. 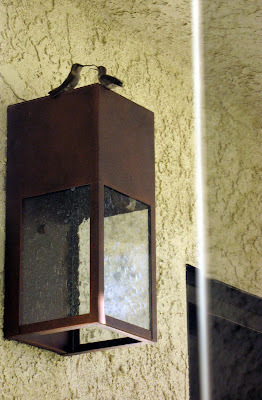 Baby flew up on the roof of the Condo and Mama followed her. 37 days from egg to flight. 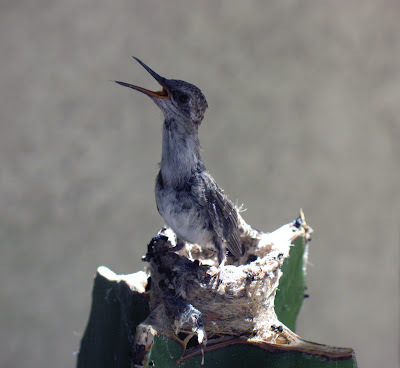 Baby is out growing her nest. 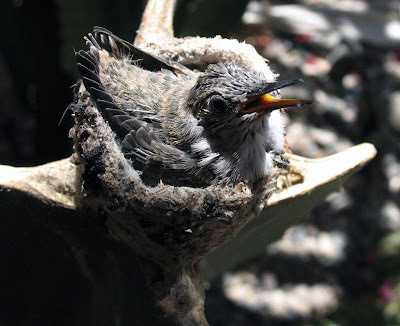 Mom has built up one side of the nest recently. Baby has a pattern I’ve discovered. I’ve watched her so much that I know when Mama is coming to feed her. 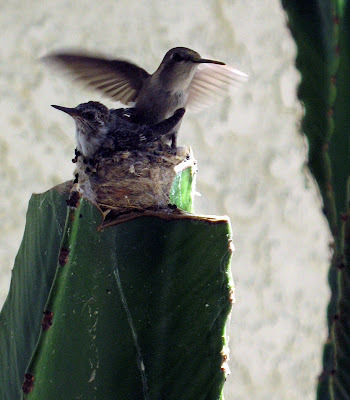 I go out and stand very, very quietly 3 feet away and shoot photos as Mama is landing. Ray gets mad at me for going outside so much. He thinks I’m going to scare Baby into flying off before Baby is ready to fly. I think Baby is going to fly within the next few days. 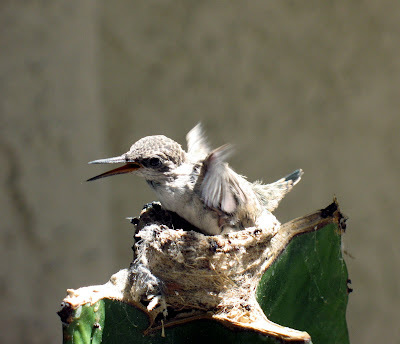 Baby flapped her wings today to keep herself from losing her balance now that she courageously stands perched on the top side of the nest. Mama comes to the rescue now that Baby is so cocky. 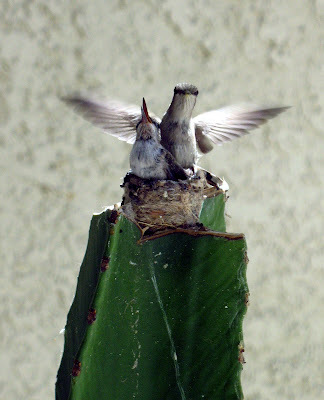 Mama is very strict and I get a kick out of catching her beat Baby down in her nest anyway she can. Mama comes at the same time everyday to shade Baby from the hot sun. Then I get to photograph Mama’s beautifully colored back feathers. Baby has some green in her back now too. And there are fewer and fewer times when Baby sits still with Mama. Ray and I are going to be very sad to see our Baby fly away. Any bets on which date she’ll take flight? If Baby doesn’t fly away soon, I’ll never get ready for this trip. 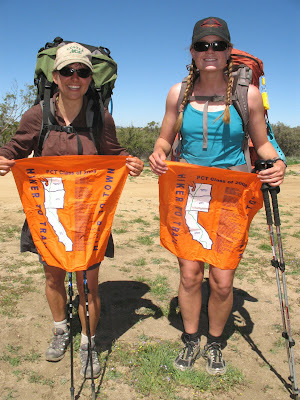 More PCT early thru hiker sightings. Katy and Leah proudly displaying their new Class of 2008 PCT bandanas. Katy and Leah started April 1st at the border. 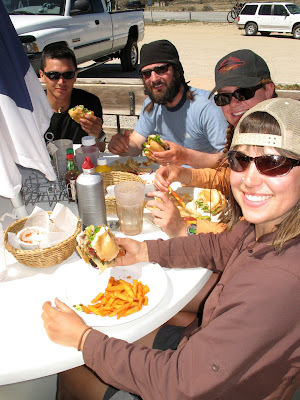 Zeke, Jan, Leah and Katy at the famous Paradise Cafe, one mile west of where the PCT crosses Hwy 74. Baby has lots of feathers. Baby is habituated to me. I am an ever present presence. I talk to Baby. Baby knows my voice, my camera lens in its face and Baby feels safe but somewhat confused by me. 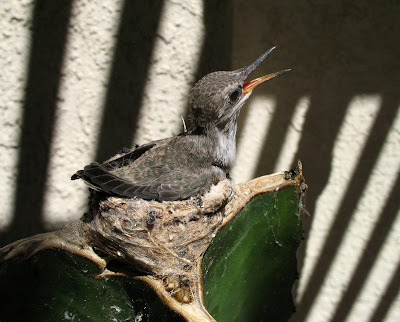 Baby has feathers which means it isn’t going to be long now, maybe a week, before Baby takes flight. I can’t imagine how two babies could fit in this small nest. I must have clicked off 100 photos today. Everytime I passed the glass window, Baby or Mama were doing something so cool it had to be photographed. I spent many hours today distracted and very interested by new behaviors. Mama lands midday to shade Baby from the hot sun that shines directly on Baby around 1pm. 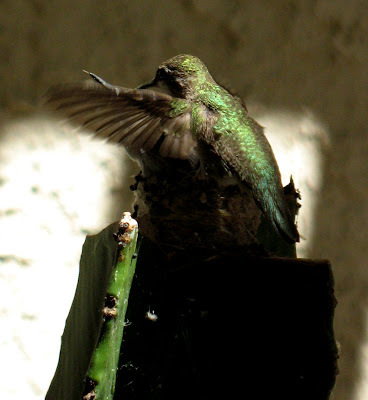 Mama spreads her tail feathers and wings very wide to shield Baby from the direct heat of the sun. I will eventually upload a lot more of the photos I’ve taken to Flickr.com but I haven’t the time now. I’ll post when I’ve uploaded photos to Flickr. I hope to do a photo essay of Baby from beginning to end too. But not until I return from my trip.